The U.S. migration to secure EMV chip technology is picking up speed, making now the right time to educate consumers on the changes to their payment cards and in-store terminals. This leaves the industry with an important challenge: how can issuers and merchants most effectively communicate with their customers and provide education to make the transition to chip cards successful? The guide, “Recommended Communications Best Practices,” provides a step-by-step resource for issuers and merchants to develop effective messaging and education approaches during the U.S. migration to chip technology. Consistency: The whole industry is encouraged to use standardized language, such as the language recommended in the Forum’s Glossary of Standardized Terminology, to stimulate recognition and understanding of information and reduce the possibility of miscommunication. Continuous education: The guide recommends that issuers and merchants educate before, during and after card issuance and chip-enabled POS terminal implementation to increase the scope of messaging and education efforts. 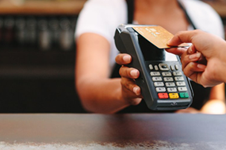 For issuers, the focus should be on awareness and notification that the chip card is coming, while merchants focus on the changes to the terminals. After the cardholder receives the chip card, efforts should then move to activation, security benefits, how to use chip card in stores, and how to promote a positive customer experience. Once a cardholder has received their new card, education should continue, providing ongoing information about what to expect at the POS. Multi-channel communication: For issuers, there are various channels to reach their customers with educational materials, including: card carriers, statement inserts, ATMs, branches, call centers, Internet, advertising, social media, email and direct mail. Merchants have a variety of opportunities to reach customers, such as receipts, cashiers, call centers, Internet, advertising, social media, email and direct mail. The guide provides common messaging recommendations that are appropriate for each channel. The guide, “Recommended Communications Best Practices,” was developed by the EMV Migration Forum’s Communication and Education Working Committee.